Transcription of Obituary in the Primitive Methodist Magazine by G.H. Rev. Alfred Kitson was born at the little village of Marr, near Doncaster. In early youth he was converted to God in his native village, and speedily threw himself into all the activities of the Church life. He became a local preacher, and soon showed such marked ability as a preacher that he was urged to enter our ministry. He spent the year 1867 at our Elmfield College under the sainted John Petty, to whose influence he confessed himself greatly indebted. At the end of the year he commenced his ministry at Retford; from thence he went to Market Rasen, then to North Cave. At the close of his probation he married Martha Surfleet, of Market Rasen. For three years they laboured at Louth and then came to Scarborough. Here, owing to a breakdown in health, he rested for a year, and at the end of his tenth year in our ministry he was obliged to seek superannuation in 1878, and through all the intervening years his life has been one of pain and suffering. After a while he so far recovered as to be able to take an occasional service, and to take some little part in the varied activities of the Church, and whatever he was able to do he gladly did. 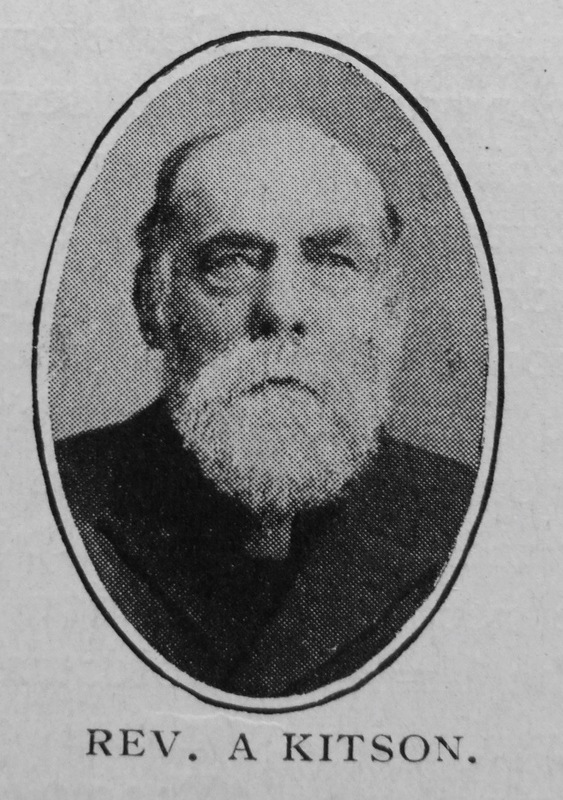 Especially did our brother delight to work amongst the young, and for twenty-five years he was superintendent of our St. John’s Road Sunday-school. For many years he was a leader of our largest Young People’s Society Class, and for seven years was secretary of our trust. For fifteen years he served on the Scarborough School Board with great acceptance. But ever since the early days of his ministry he has laboured against physical disability, asthma and dilation of the heart as far back as forty-six years ago, which necessitated his laying aside his cherished hopes of a life in our ministry. Then kidney trouble commenced, this was followed by diabetes, and about a year ago cancerous growth on nose and ear. Truly a life full of tragedy, and yet none ever heard a murmur escape his lips, but quietly, resignedly, he bowed to his Father’s will. It was not until March 22nd that our brother took to his bed, and on his seventy-third birthday, March 24th, he entered into the eternal life of heaven. The funeral service took place at St. John’s Road on March 27th in the presence of a very large and representative gathering, including Archdeacon Mackarness, Revs. G.T. 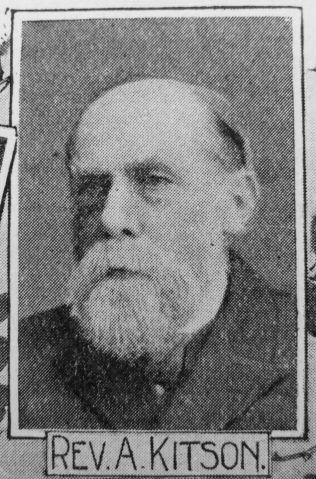 and G.F. Fawcett, T. Granger, J.S.W. Stanwell, H. Fox, G.T. Chappell, W.T. Cole and Geo. Hind. A memorial service was conducted on the following Sunday by Rev. 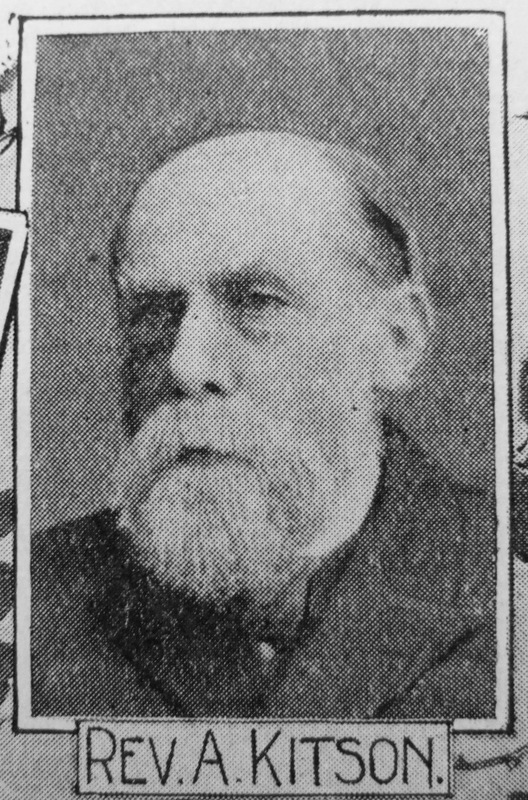 G. T. Fawcett. The sympathies of the Church will go out to Mrs. Kitson, who through her whole married life of forty-four years has, by her loving devotion, shared the heavy burden of affliction placed upon our brother. Alfred was born on 24 March 1841 at Marr, Yorkshire, to parents Robert, who worked the land, and Frances. Before entering the ministry Alfred was a farm labourer. Alfred married Martha Surfleet (1846-1930) in the summer of 1870 at Market Rasen. There were no children. In 1891 Alfred was manager of a Young M.C. Association. Later he is described as a boarding house proprietor. Alfred died on 24 March 1914 at Scarborough, Yorkshire.